B.M., University of Cincinnati College - Conservatory of Music. Studied with Emil Schmachtenberg. Over 30 years teaching and performing experience. Taught in both Cincinnati and Nashville. Performs with the Nashville Wind Ensemble. 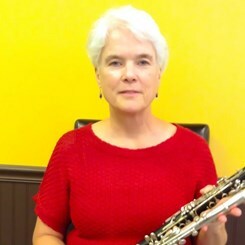 Request Lessons with Cynthia today!